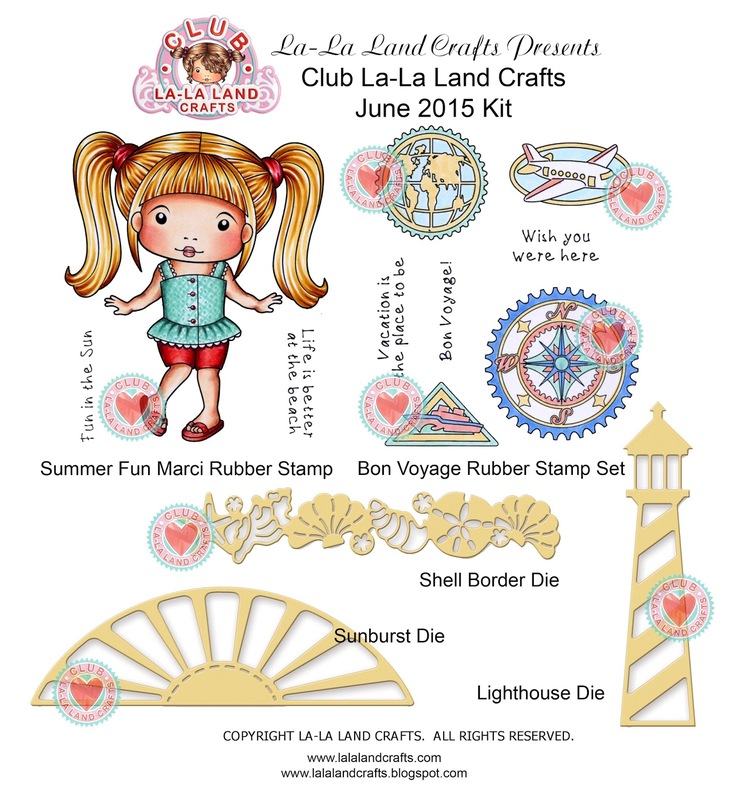 to start your subscription with July 2015 Kit! Sign up today to start your subscription with the July 2015 Kit! 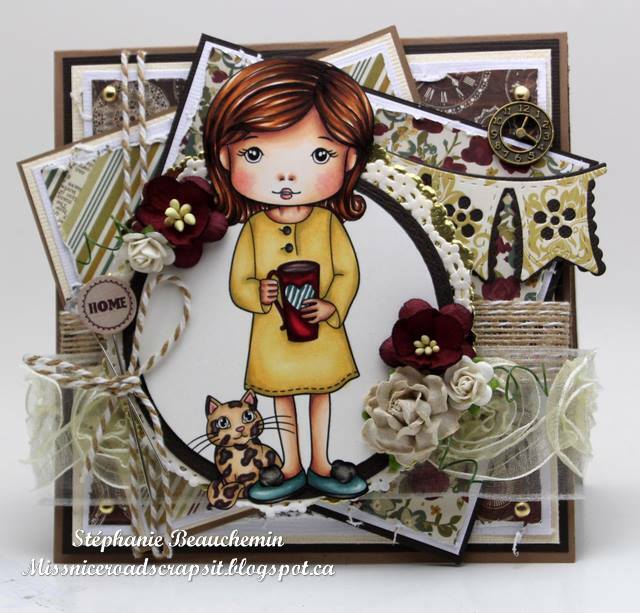 Clothes - Walnut Stain, Vintage Photo and Black Soot. 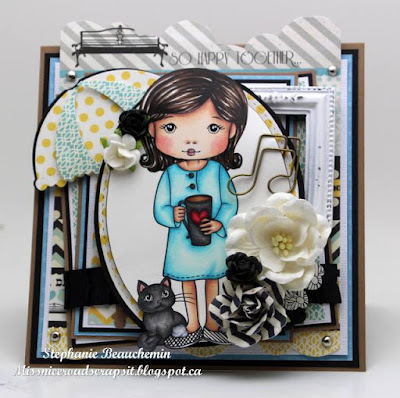 June 2015 NEW RELEASE SHOWCASE Day 5 - Introducing Molli! 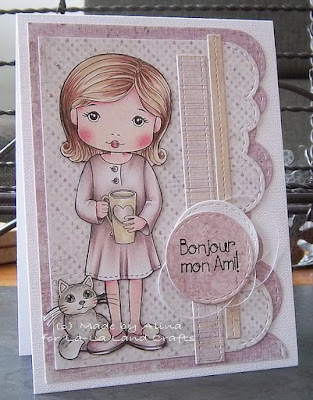 Let's take one last look at this new release. 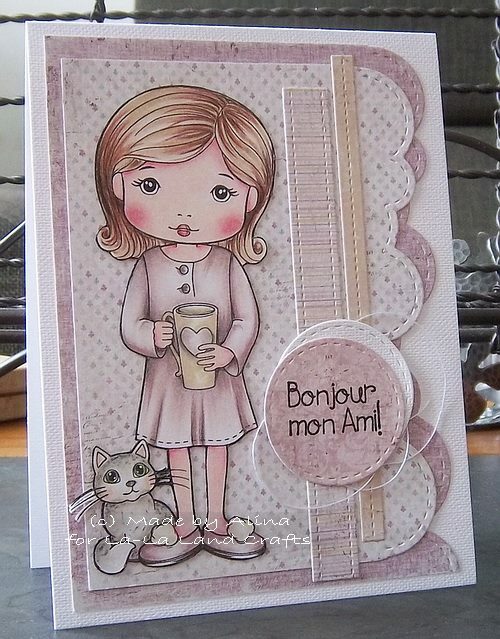 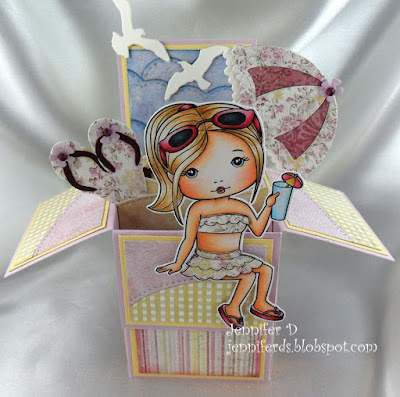 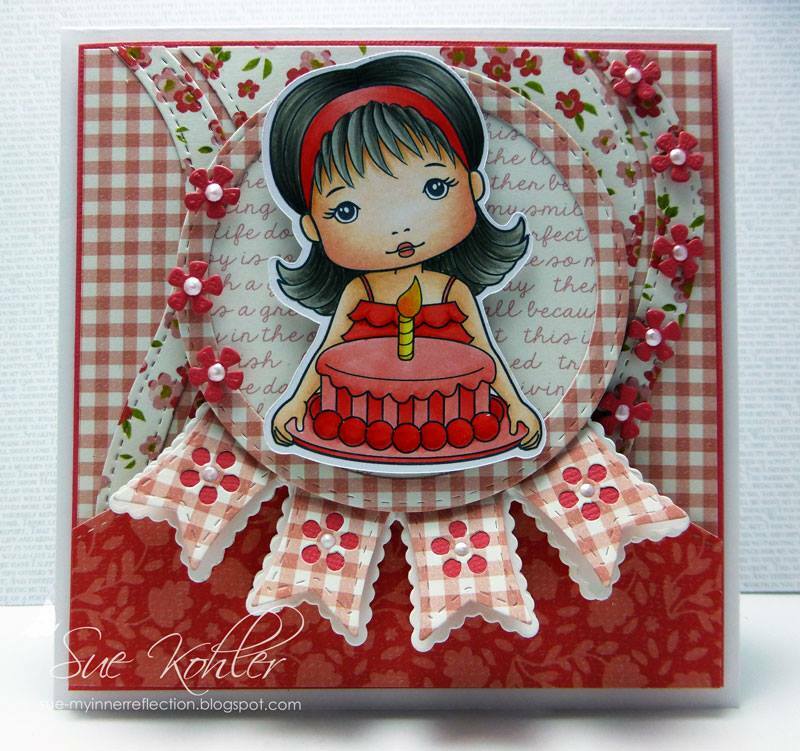 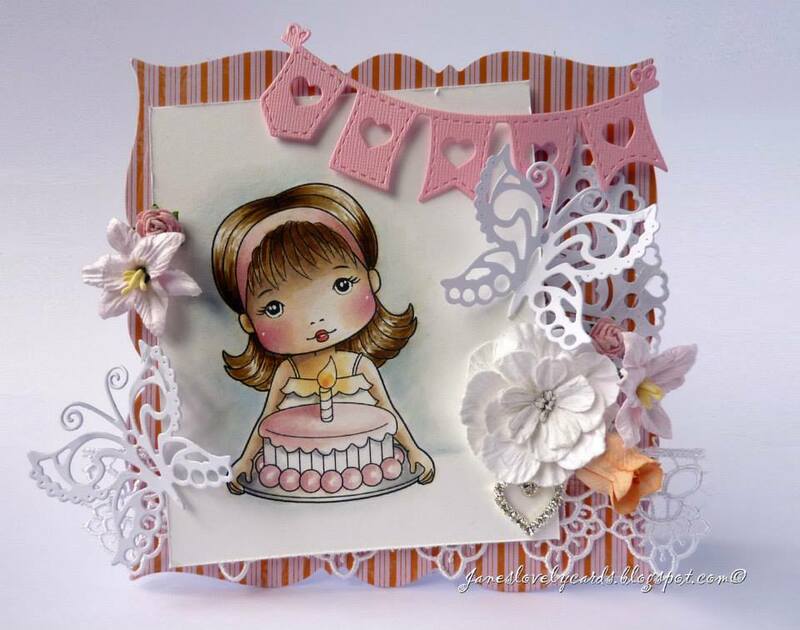 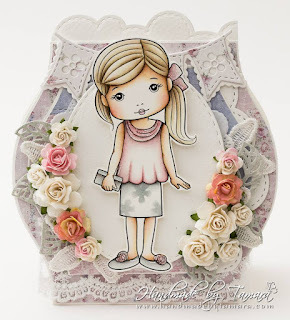 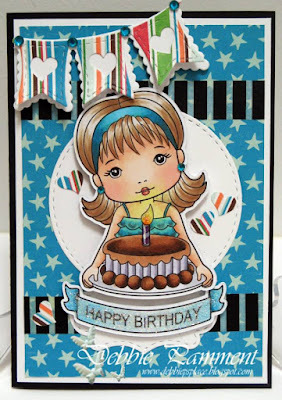 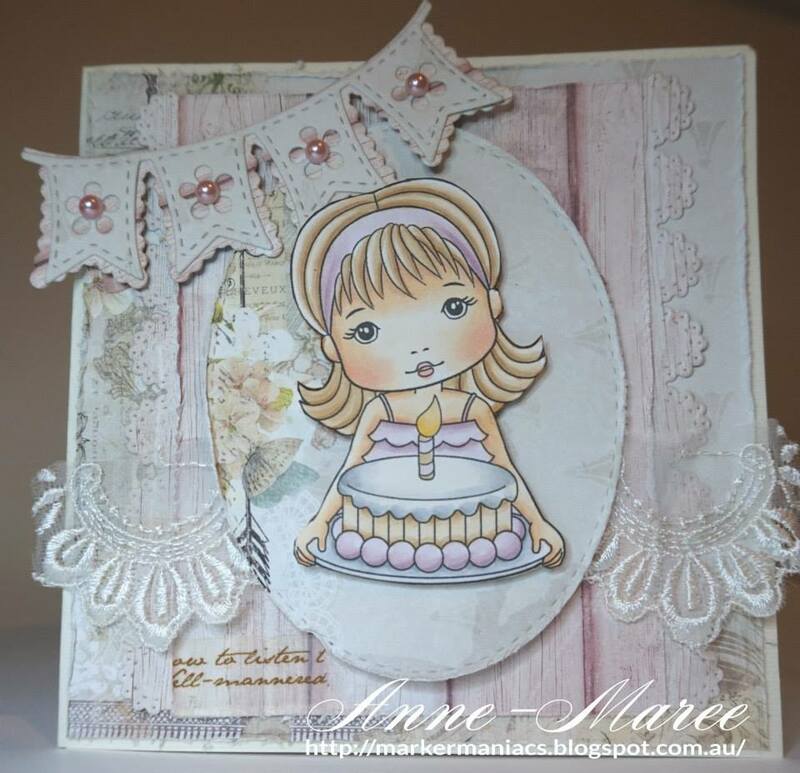 We have FIVE NEW STAMPS and SIX NEW DIES and we are also introducing a NEW character - MOLLI! 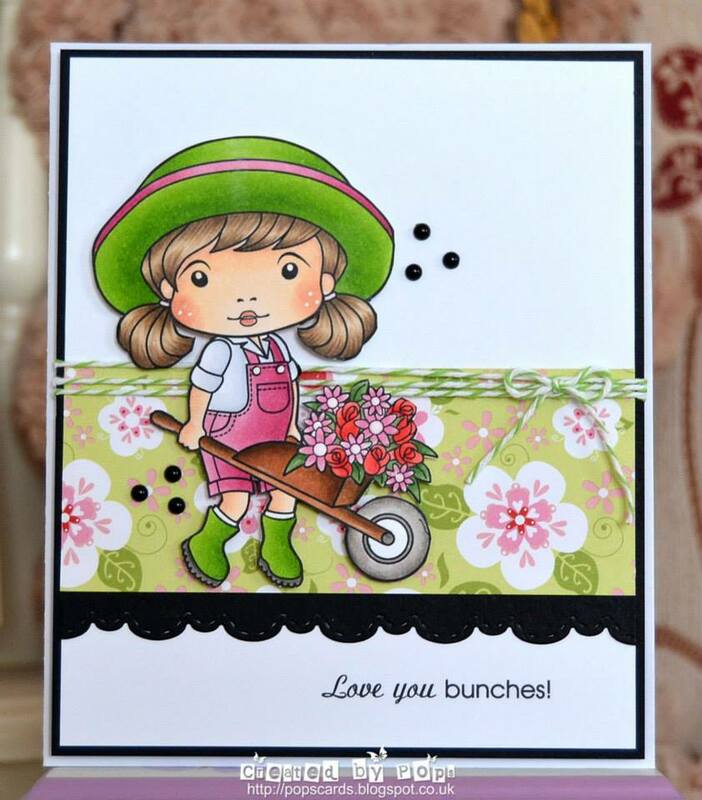 All of these new products are AVAILABLE NOW - click HERE to go shopping. Remember, all of these new products are AVAILABLE NOW - click HERE to go shopping. 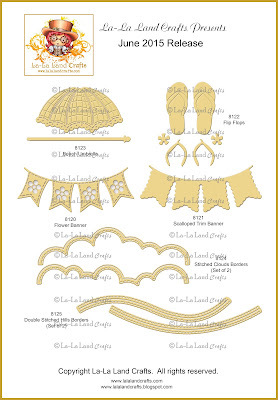 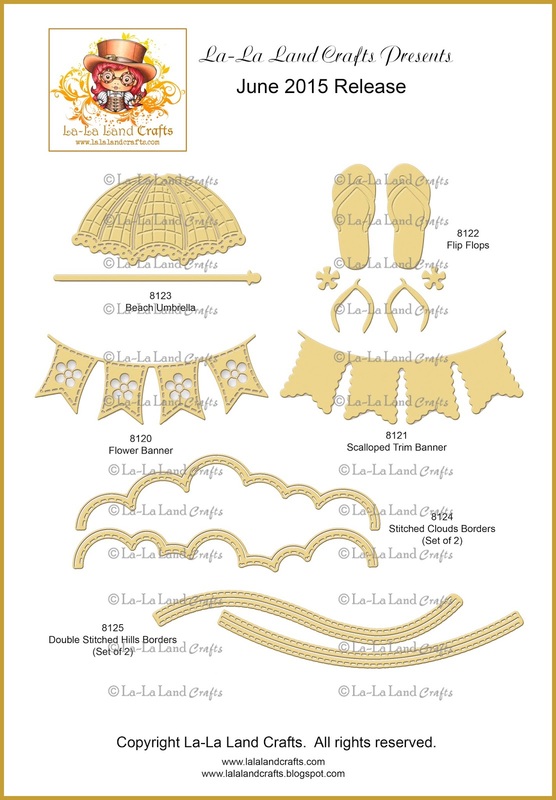 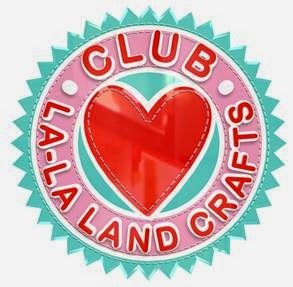 You can join in all the La-La Land Crafts fun on our Facebook page, where you can add your own La-La Land creations and play along with our Facebook challenges and competitions. 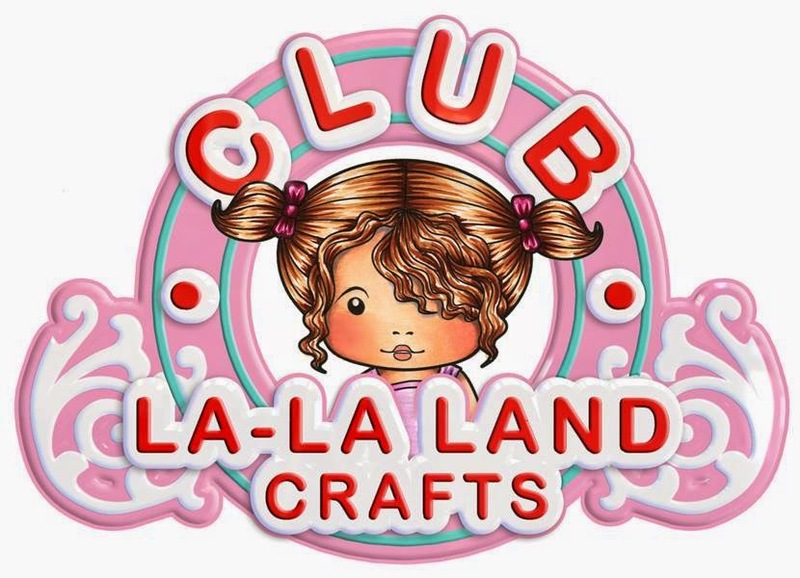 For even more Inspiration you can now find us on Pinterest. 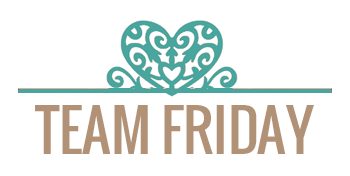 Today, Team Friday take over to recap all of our wonderful new products. 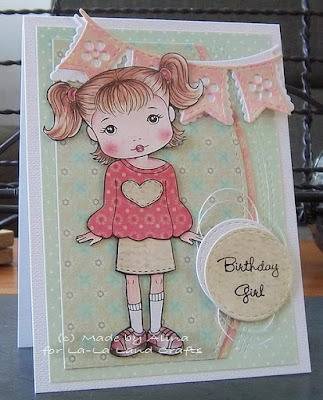 We have FIVE NEW STAMPS and SIX NEW DIES and we are also introducing a NEW character - MOLLI! Thanks so much for joining us here today, be sure to come back tomorrow for one final showcase of all of our new products. 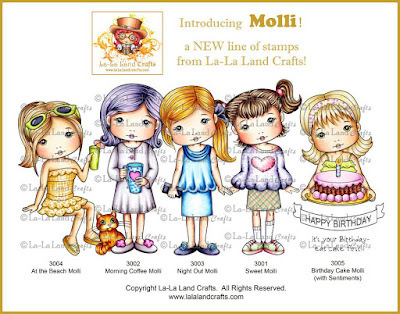 We are welcoming a new member to the La-La Land Family, introducing Molli!! Molli is Marci and Luka's older sister and is going to be perfect for so many different occasions. 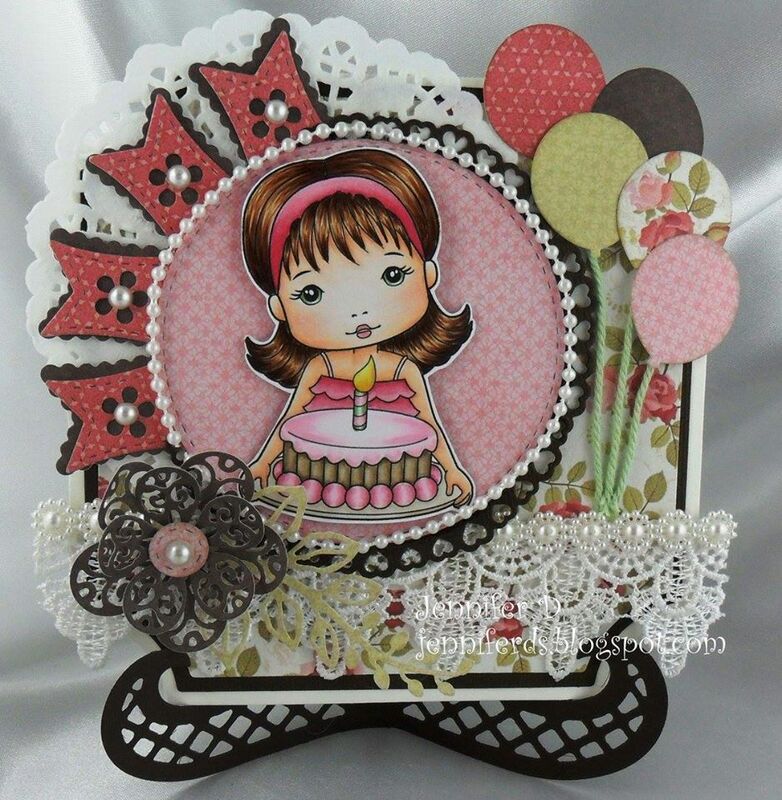 Along with FIVE NEW Molli images there is also SIX NEW DIES being released. We'll be be showcasing the new release ALL week so make sure you check back each day to see more amazing inspiration from the Design Teams. 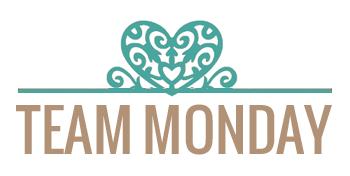 I hope you have enjoyed Monday and Tuesdays Creative flair with Team Mondays goodies! Here is what Team Wednesday has whipped up with the new dies, I KNOW you will be inspired by their creations! 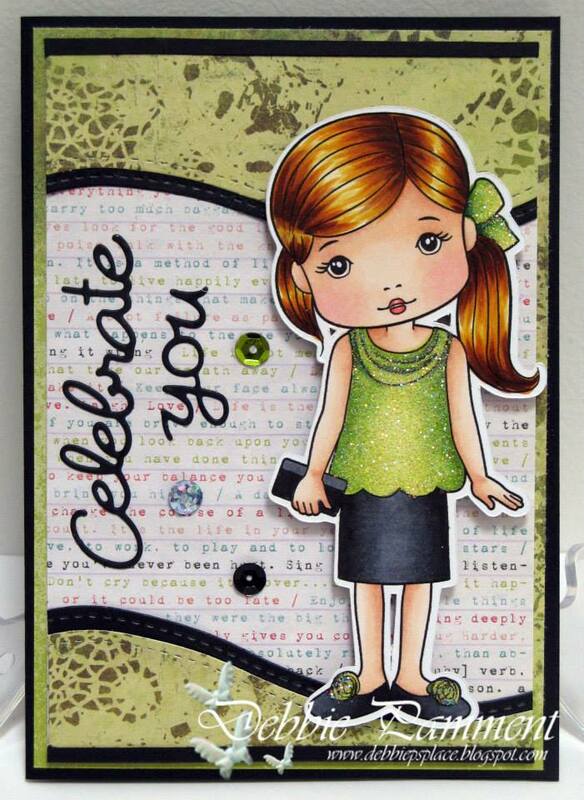 Tomorrow there will be some more fabulous inspiration from Team Friday, make sure you pop back to check it out! 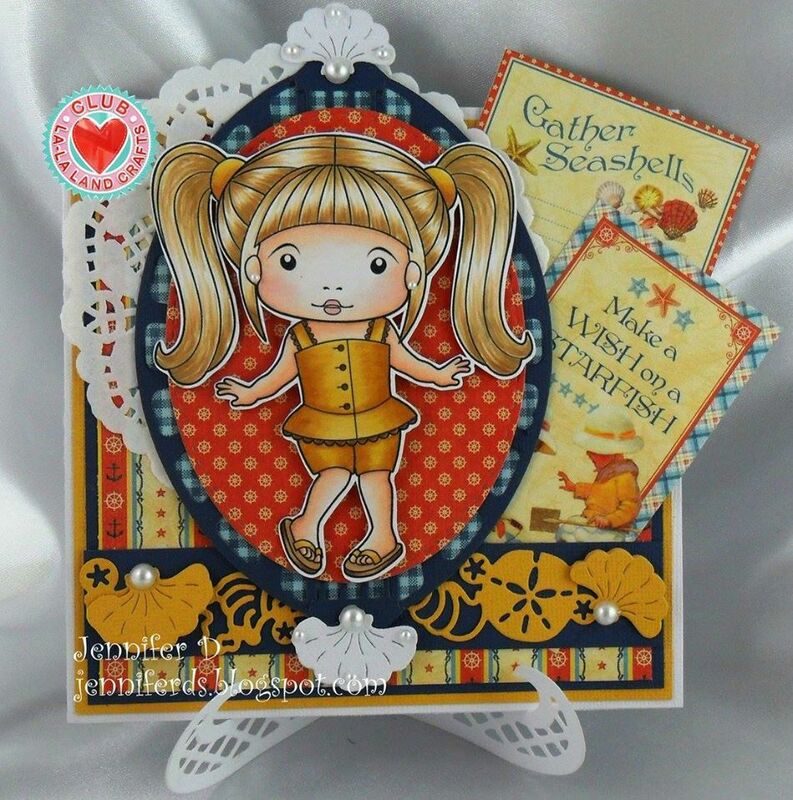 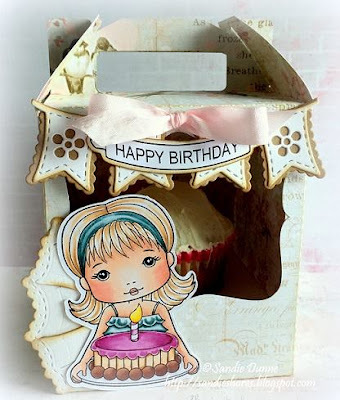 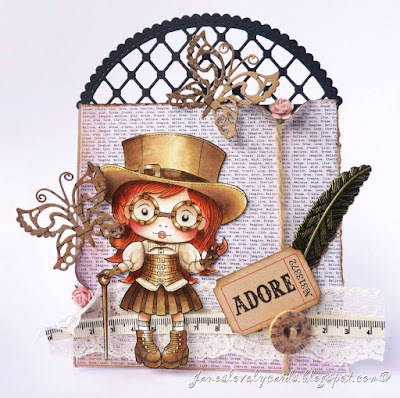 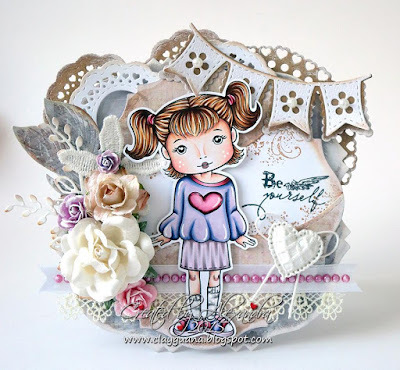 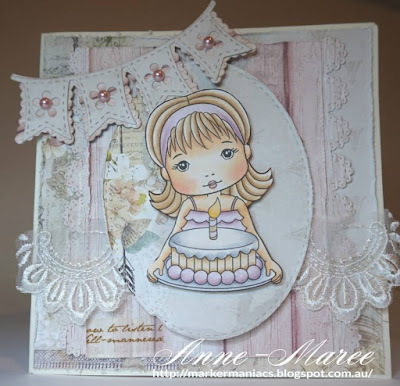 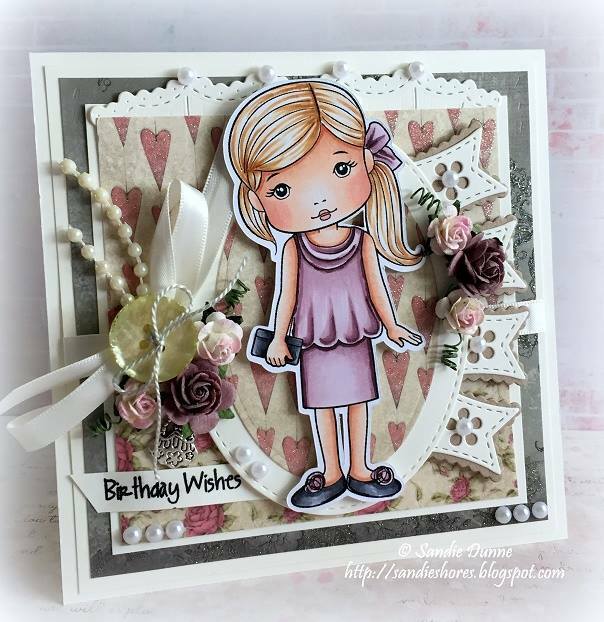 It's Day 2 of our FABULOUS New Release Showcase and we hope you are enjoying meeting Molli and seeing what the DT have come up with using Molli and the AMAZING New Dies. Once again here is the FULL RELEASE for you to look at with FIVE NEW Molli images and SIX NEW Dies. 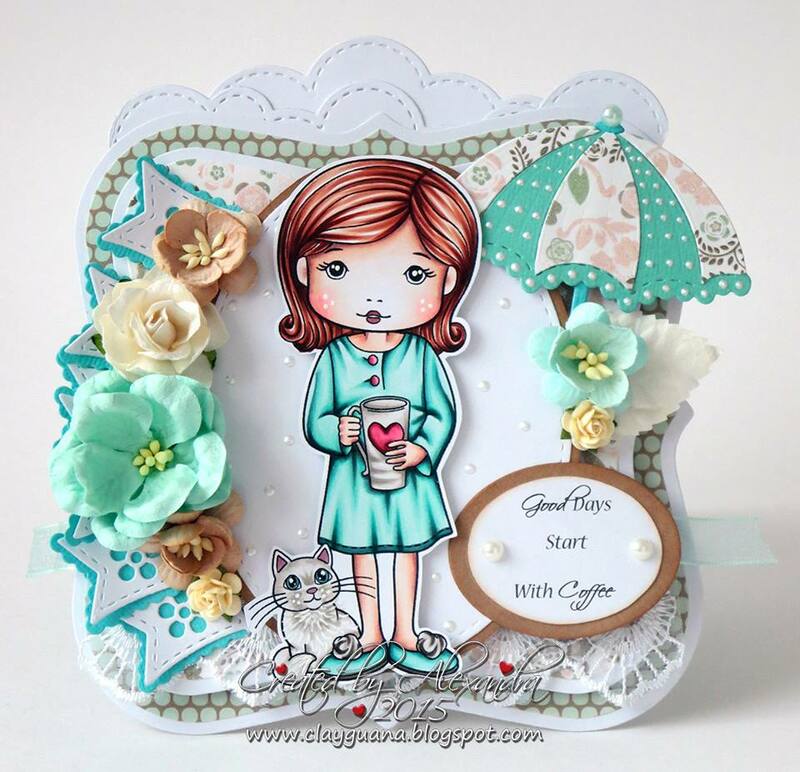 Don't forget to keep popping back throughout the week to check out the other team's beautiful work with this gorgeous new release.